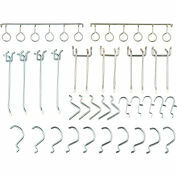 Wall mounts for use in workshops, tool rooms, maintenance offices and auto garages. 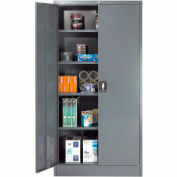 Doors have a magnetic catch and padlock hasp (lock sold separately) for secure storage. 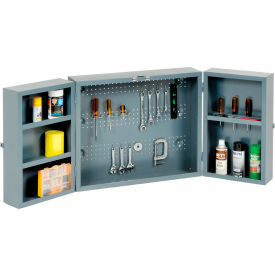 Fixed shelves in the box style doors use space efficiently. 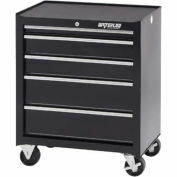 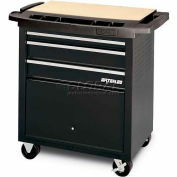 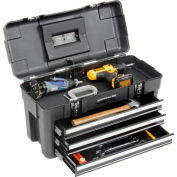 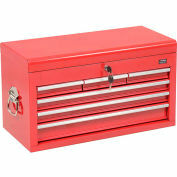 Includes a built-in tool rack, small parts tray, all-steel pegboard and hooks. 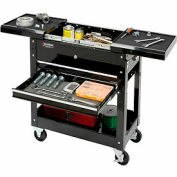 Heavy gauge welded steel construction. 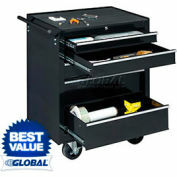 Measures 30"W x 11-1/2"D x 24"H when closed and expands to 60"W x 6"D x 24"H. Ships assembled.